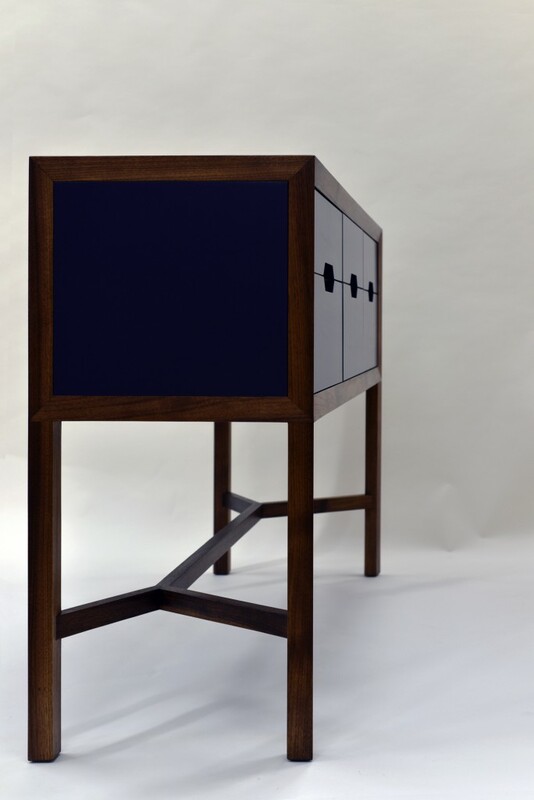 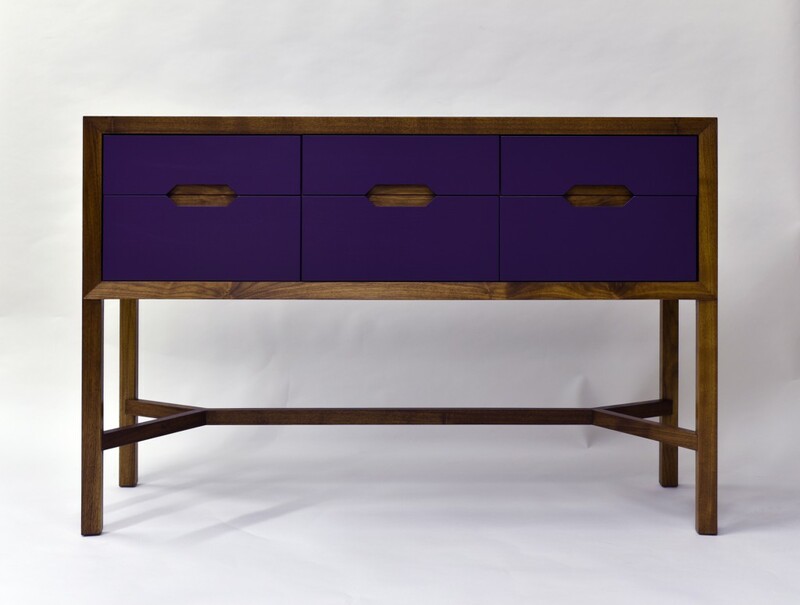 This handcrafted sideboard was inspired by mid-century modern design. 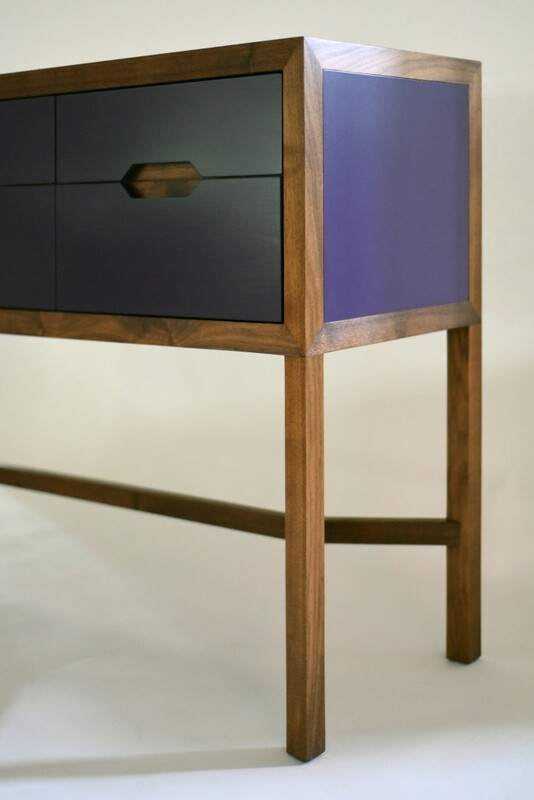 This impressive piece was crafted using mortise and tenon joinery in solid walnut and features unique painted drawer fronts with recessed walnut finger pulls. 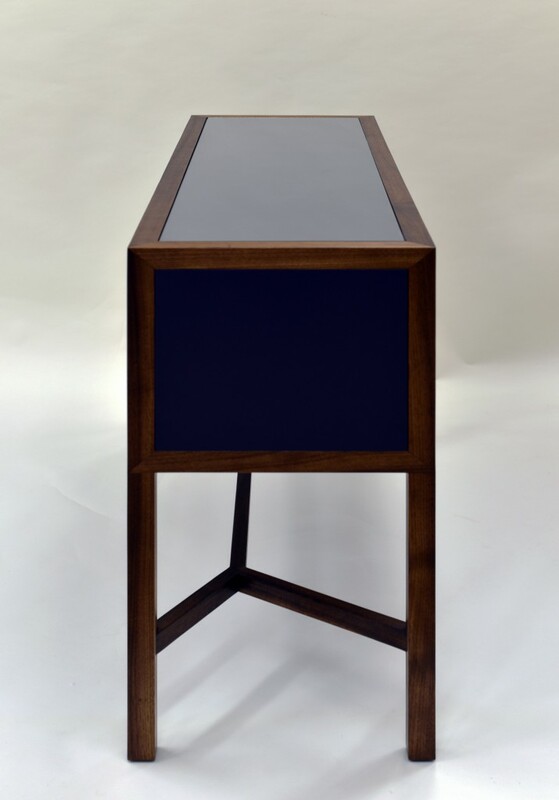 Painted panels can be modified in a custom color to suit any exclusive space in your home. 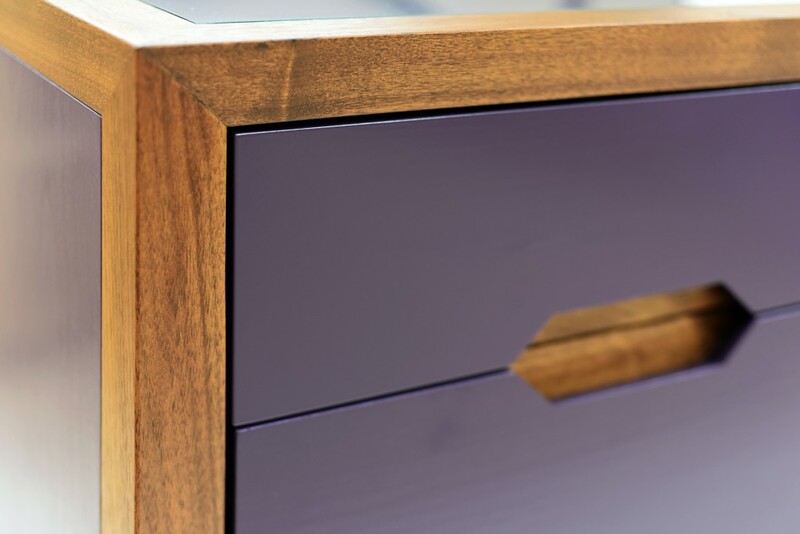 Drawers are solid maple. 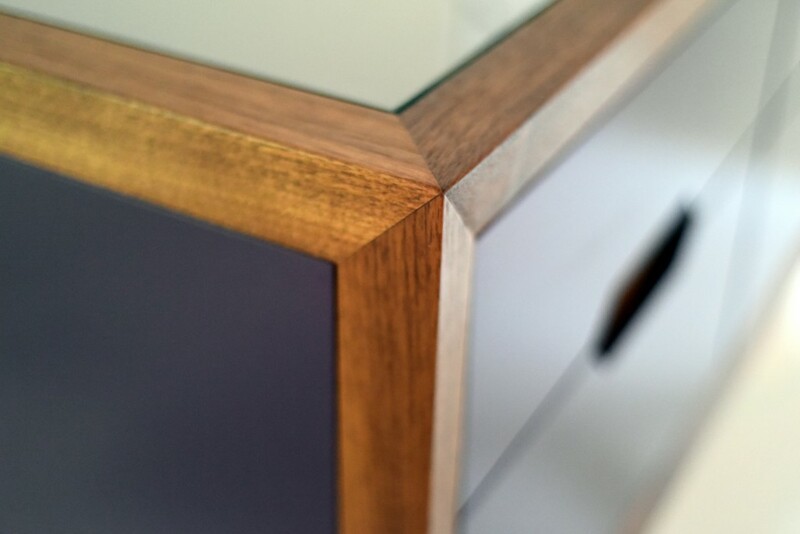 We complete the piece with an inset glass top.